Successfully Added Adjustable Stack Design Bluetooth Dongle + 3 Port USB Hub to your Shopping Cart. 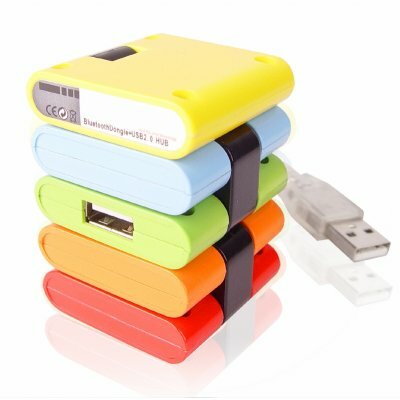 Gadget computer accessory direct from China, functioning not only as a 3 port high speed 2.0 USB hub, but also as a Bluetooth dongle, and with a adjustable stack based design. Stack all the ports into a tower shape, spread them out in a line, or make many other possible shapes with the 4 different hinges between each block. With multiple Bluetooth profiles for ease of connection and use, as well as its cool gadget factor, this is a computer accessory perfect for you or your customers, and available with no MOQ and a low wholesale price..